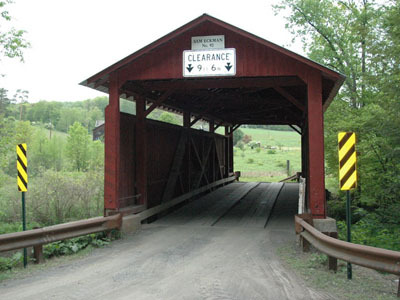 The Sam Eckman Bridge is located on Little Fishing Creek between Pine and Greenwood Townships on Covered Bridge Road, off Sereno Hollow Road, north of Millville and Iola. This bridge was built in 1876 for $498.00 by Joseph Redline. Samuel Eckman, after whom it was named, operated a farm, shingle mill and birch oil factory nearby, and later established the Millville Creamery. 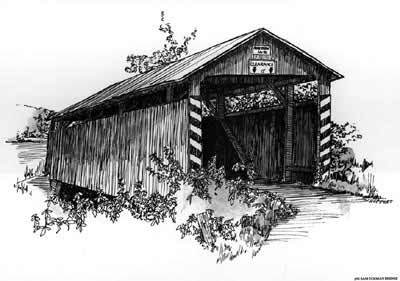 Theodore Burr Covered Bridge Society of PA. Inc.